Former State Rep. Stratton Bone, center, is congratulated by County Executive Mike Gannon, left, and Woodbury Mayor Harold Patrick upon the naming of a new livestock center at Cannon County High School. Officials at Cannon County High School dedicated its state-of-the-art agricultural enhancement center during a grand opening on campus Saturday (July 13). They also named it in honor of the man who helped make it possible - former State Rep. Stratton Bone. Lettering will be placed atop the facility in coming weeks which reads, "Stratton Bone Livestock Center." The facility, located in the back of the property near the greenhouses at Cannon County High School, is one of only two of its kind in middle Tennessee. 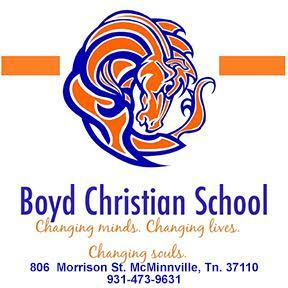 The other is located in Trousdale County. State funding from agriculture helped pay for the building, which is an 80 X 200 feet covered with open sides. When totally completed it will include meeting rooms and restrooms. It can only be used for agricultural-based events. "Thank you so much for doing this," Bone told those in attendance for the grand opening of the facility. "Agriculture is still the No. 1 industry in our state and it is the No. 1 industry in Cannon County. That was what was behind Agriculture Enhancement. These buildings are important to agriculture and the entire community. There will be many uses for this building." The first show - a goat show - was held in the facility hours after its dedication. The Cannon County Goat Show drew farmers from numerous counties throughout the midstate. "I want to thank all of you who had a part in the funding, planning, the construction," said Cannon County Director of Schools Barbara Parker. "It is a great addition to Cannon County High School and it provides business for livestock shows and other agriculture events. One day in the near future we will look back and say, 'How did we ever survive without it?'" Cannon County's agricultural department and Future Farmers of America (FFA) club is recognized statewide for its success. Courtney Nichols, who heads the program, is a national teacher of the year in his field and retired teacher Bob Melton also was responsible for driving the success of the program. "I believe (Melton and Nichols) came up with the idea for this building and they had great vision," said County Executive Mike Gannon. "It would not have happened without Stratton Bone. There is not a county in the state that has a better ag program than Cannon County. Bob Melton and Courtney Nichols have done an exceptional job and we appreciate their efforts." Woodbury Mayor Harold Patrick said Bone has been a great friend to the town and county through the years. 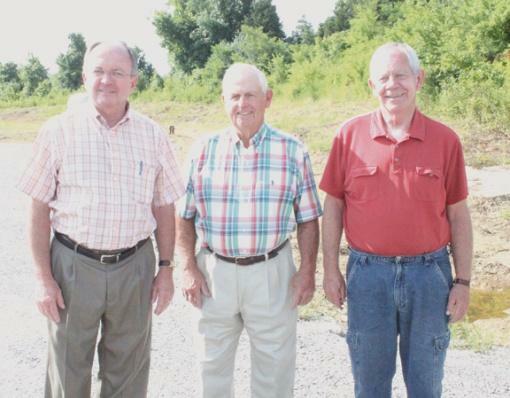 "(Bone) has done an exceptional job for Cannon County and we honor him," Patrick said. "I don't know that Cannon County has had a better friend than Stratton Bone, and I say that with all sincerity. He has done so much for our Cannon County." Nichols said the educational opportunities for students and additional occasions for farmers will be greater because of the facility. "Our students have excelled in agriculture and FFA through the years but this facility will give them even greater opportunities," Nichols said. "This is also going to be great for shows and for agriculture in our county, in general. We are appreciative to Stratton Bone and to everyone who had a hand in making this happen." Congratulations to all involved, especially to the current and former Ag teachers at Cannon Co. High School, for this additional way of helping Cannon County students excel. It is especially significant that the building is named for such a fine statesman as Stratton Bone. I do miss him! !